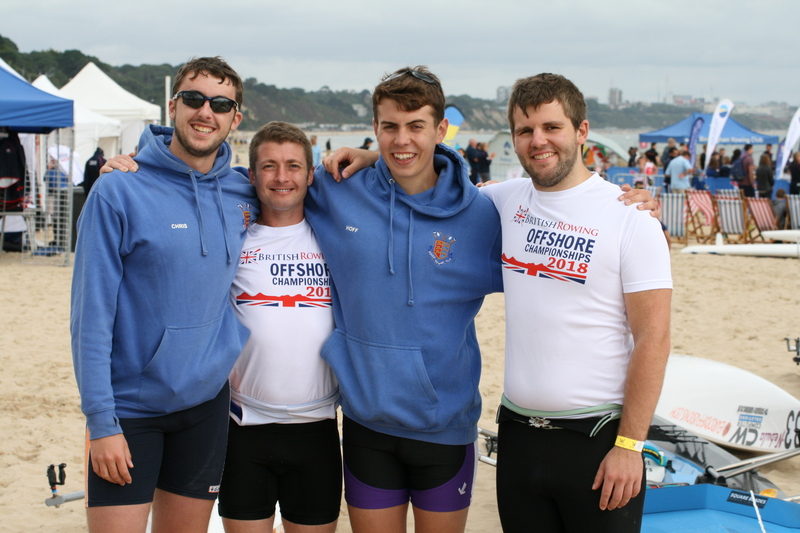 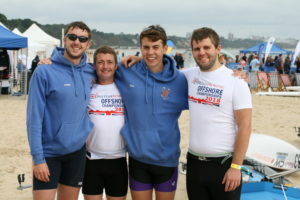 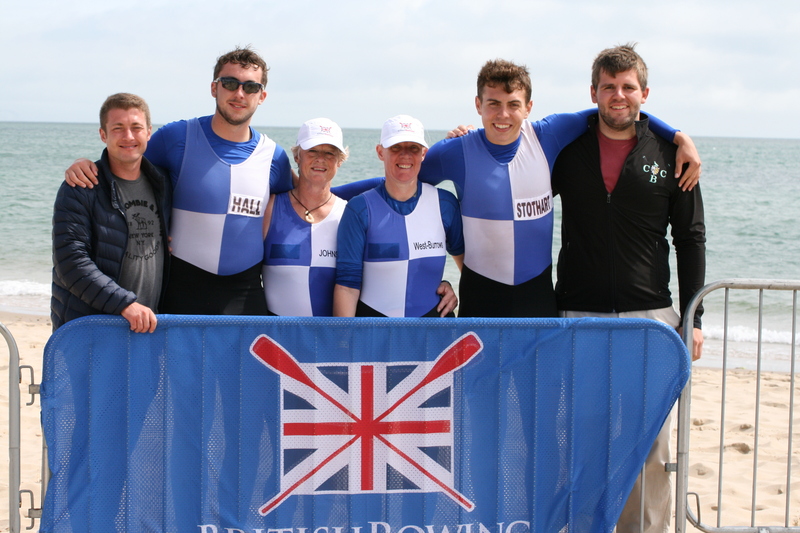 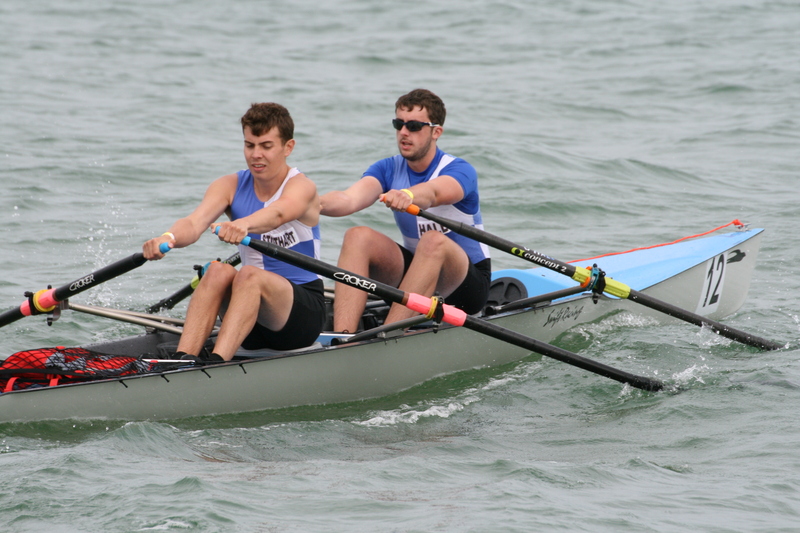 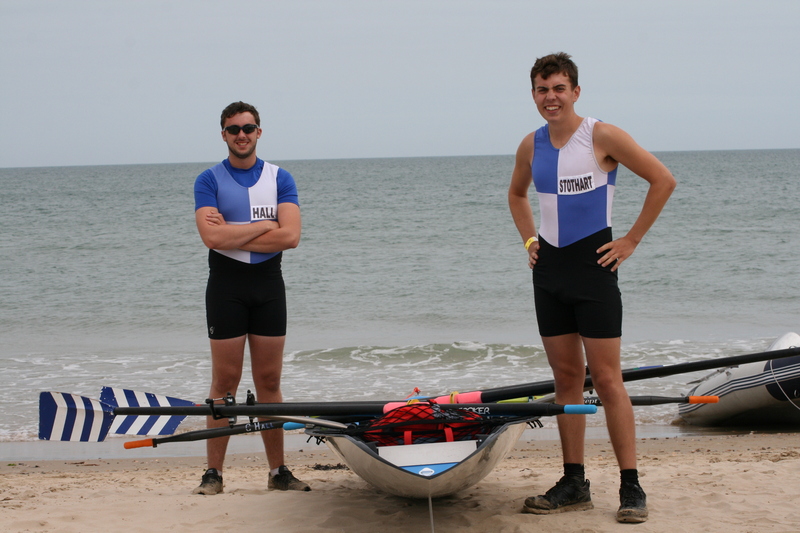 Dover Rowing Club were in competition in the British Offshore Championships held over two days at Sandbanks, Poole. 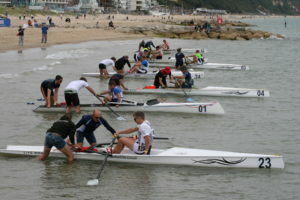 Differing from the normal CARA competitions the scullers start standing by their boats in the shallow water. 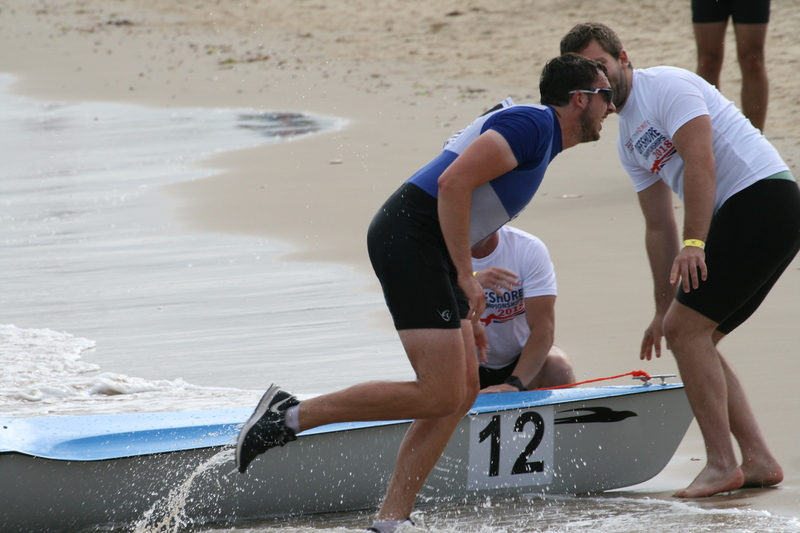 At the ‘go’ competitors jump into their boats and, when ready, are pushed off by two boat handlers. 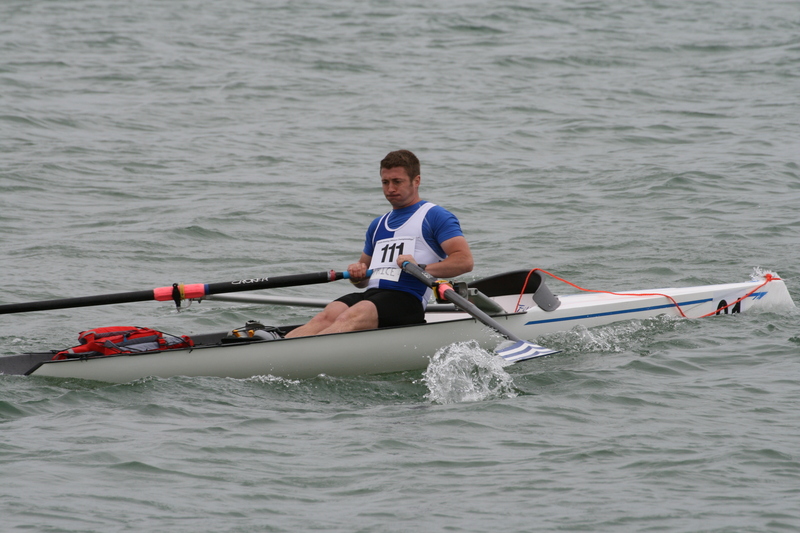 Day 1: Chris Price was on the water in Eliminator 1 Open Coastal Solo. 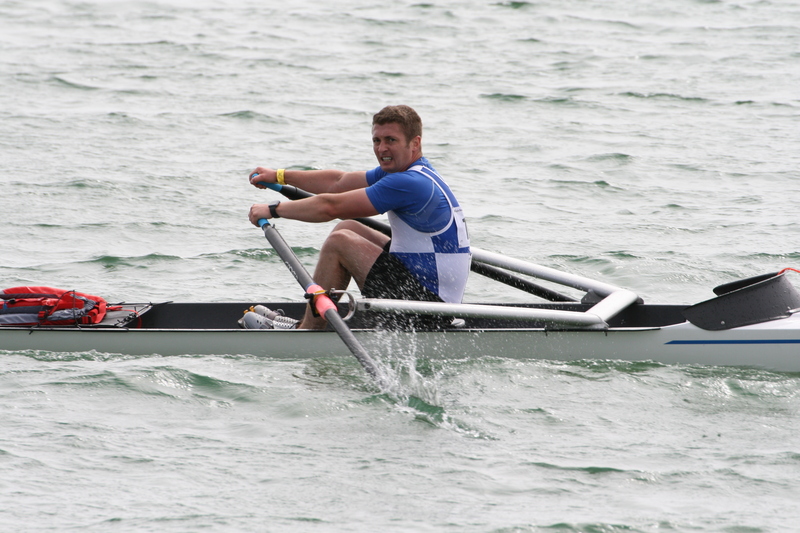 Price got a good start and was off in pursuit of a Swedish former world champion in the straight 1km to the first buoy before turning parallel to the shore. 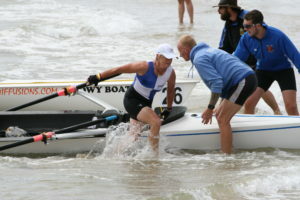 Price was losing contact with the lead boats as he headed to the 3rd turn and was unable to close the gap further on the remaining turns of the 4 km course before sprinting up the beach to finish 7th in a time of 26:57.5. 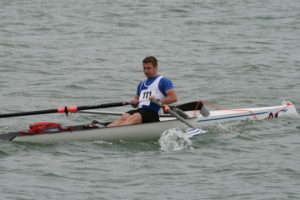 Robin McCorkell was racing in Eliminator 2. 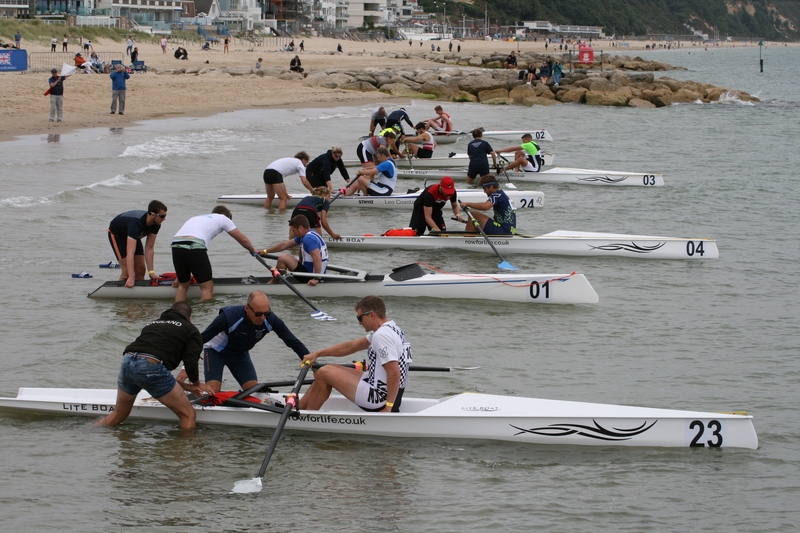 A slow start left McCorkell blocked by the main field who were densely packed on the racing line, forcing him to row wide to get clear water. 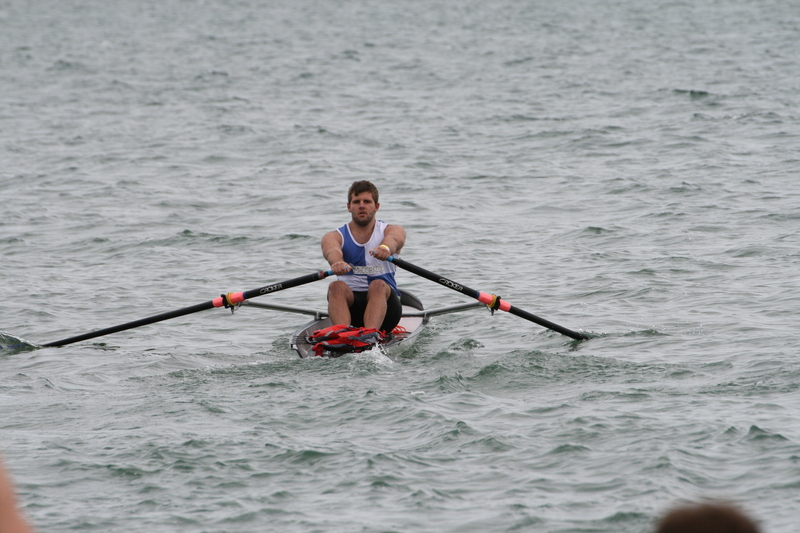 Between buoy 1 and 3 McCorkell worked his way patiently through the field to move into 5th place. After turn 3 he rapidly closed on the fourth place rower but was unable to take the last qualifying spot, running home in a time of 24:38.4. 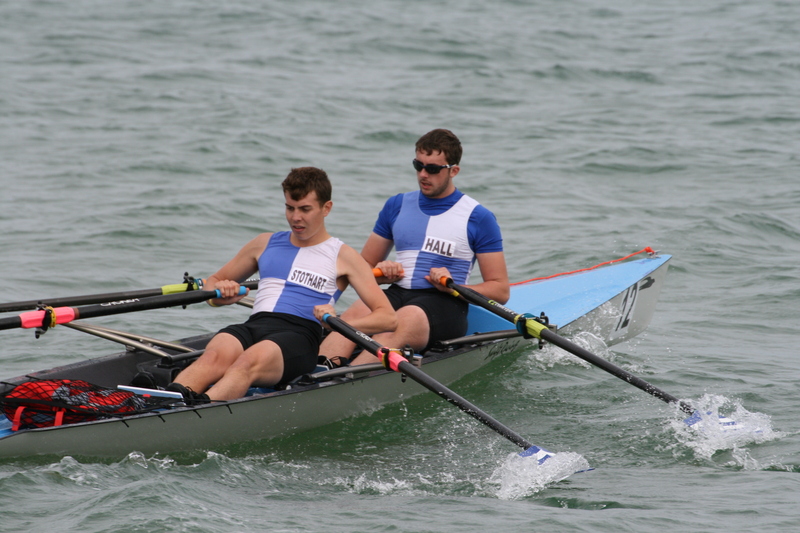 Making their debut in the Open Coastal 2x Eliminator were Dover crew, Tom Stothart and Chris Hall. 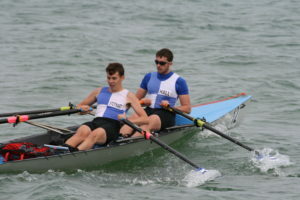 Starting in the middle of the field the 19 year olds rapidly caught up with the leading Jersey boat, clashing blades as the two crews turned at the first buoy. 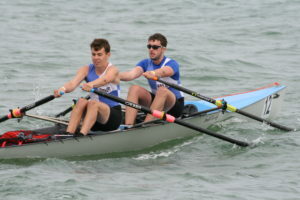 As the race progressed the Dover crew battled their way past the reigning champions to move clear. 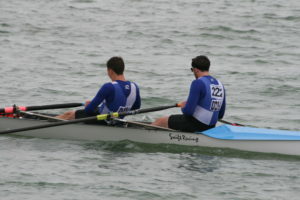 They extended their lead through to the shore before Hall ran home to win their heat in a time of 21.08.9. 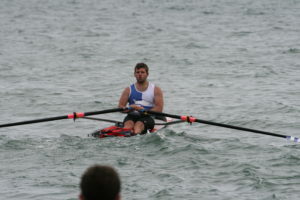 Day 2: Saw the final of the Open Coastal 2x. 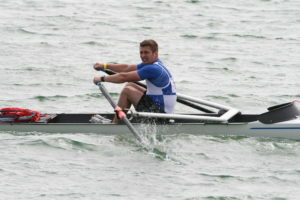 Whilst adjusting his feet after the push-off Hall’s blade handle caught in his clothes preventing him from rowing. 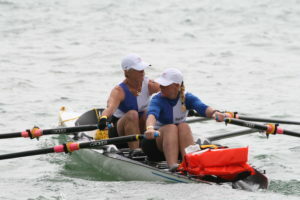 Once freed Hall and Stothart were left to pursue the field. Pushing hard at the first turn their blades caught on the buoy as a wave drove them sideways. 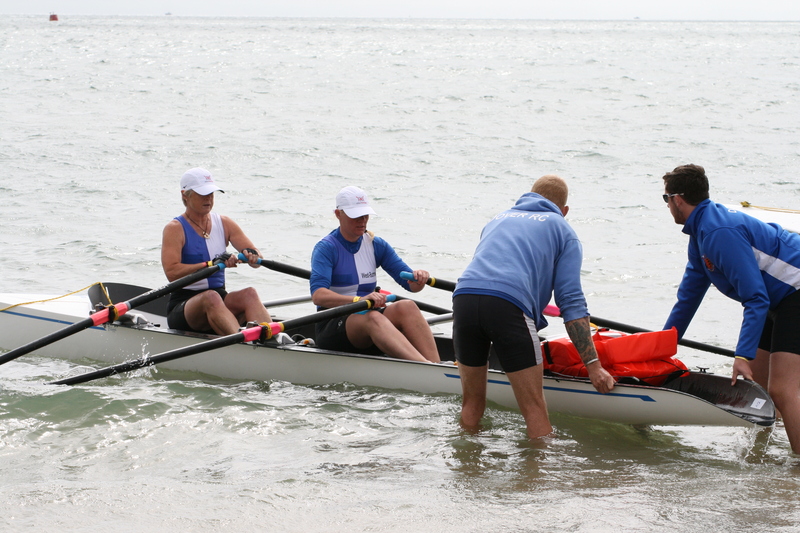 With the finals being completed over 6km Dover’s crew worked hard to regain ground. After the 3rd turn they began the press the 3rd place Jersey crew and were able to close to the stern of their opponents boat, but were unable to overtake. The effort proved too much as Jersey’s crew managed to open a gap up as they ran to the beach leaving Hall to cross the line in 32:52.24 in fourth. 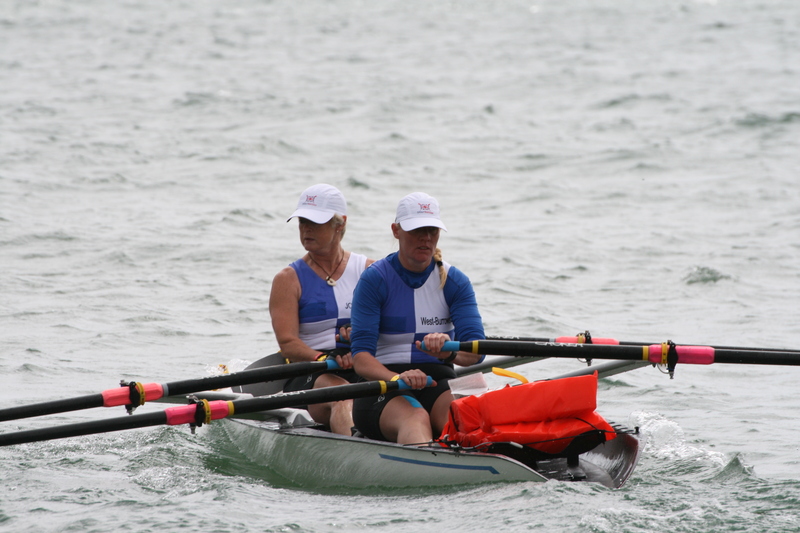 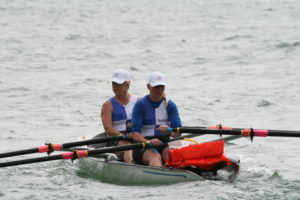 Dover left the best till last as the veteran ladies double were in a straight final for the Woman’s Coastal 2x. 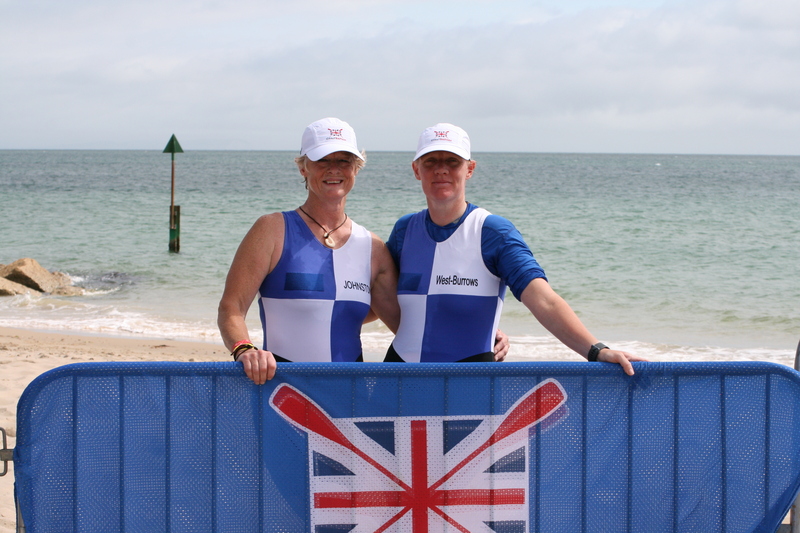 A good start for Maria West-Burrows and Jo Johnston, the event Safety Officer, saw them in the mix at the first turn. The Dover crew moved past Warwick’s crew to take 4th and were hunting down the Welsh crew in 3rd. 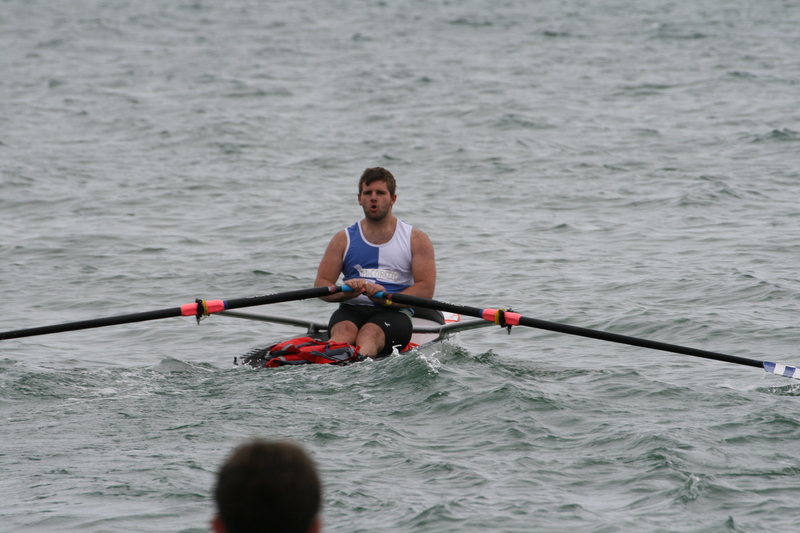 Pushing hard from the 3rd buoy Dover were closing coming out of the 4th buoy. 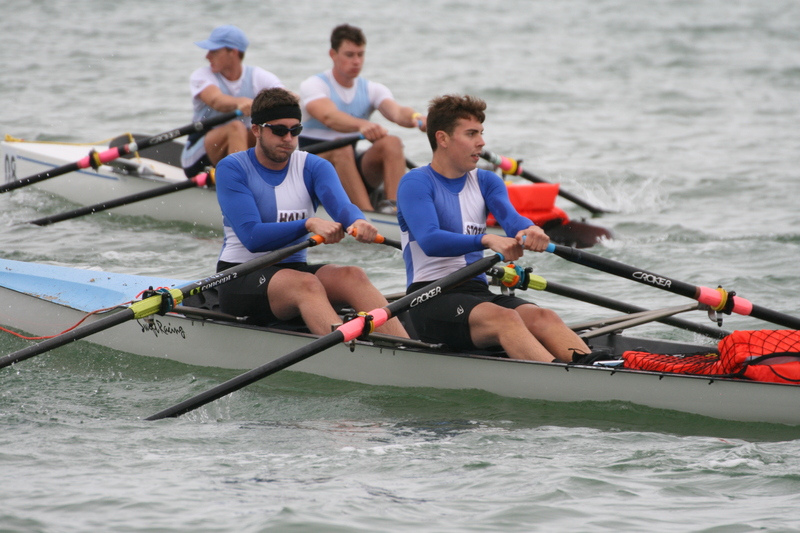 It looked like the catch was possible but a great turn by the Welsh crew at 5 gave them sufficient gap to hold off West-Burrows and Johnston’s final charge seeing them come home in 4th place in a time of 42:44.81. Whilst frustrated to miss out on medals both West-Burrows / Johnston and Stothart / Hall finished in qualifying places for the World Offshore Championships.